The Thoroughbred Golf Package is customizable for the number of golfers and rooms needed. Designed by renowned architect Arthur Hills, the Thoroughbred Golf Club is known for its beauty and solitude. 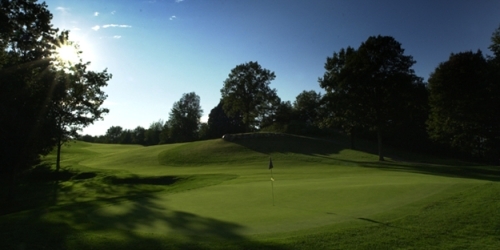 With bent grass tees, fairways and greens, the Thoroughbred offers 18 championship holes that sprawl over 240 acres of rolling Michigan woodside. It wraps around the Gold Rush Indoor Waterpark and is the only golf course in Michigan where horseback riders have the right of way on cart paths. When calling 800-368-2535, please mention you saw this golf package on GolfTrips.com. Thoroughbred Golf Club at Double JJ Resort reserves the right to change price and offer at anytime. Prices and offer are subject to change without notice. GolfTrips.com is not responsible for errors posted in this golf package.